When I bought some DVDs this morning I stumbled across a "Winnetou" soundtrack CD for only 5€. I bought it and listened to it on my way home. And suddenly I had this huge urge to watch my "Karl May Collection". Starting of course with Winnetou I - III. I've read most of the "Old Shatterhand" and "Kara Ben Nemsi" novels of May's when I was a child and I also liked the movies, even though they differ from the books. The movies still have a certain appeal to me and I liked to watch them again, but I also felt the need to read at least the first Winnetou book again. Karl May has never been to America when he had written the books and they depict a certain view on the land with noble natives and white villains who try to play white settlers and the army against the natives. But he also maintained a balance, neither natives nor white people are a homogeneous group and both groups have traitors in their midst. Now I am watching "Der Schatz im Silbersee" ("Treasure of Silver Lake") which was even made before the first "Spaghetti Westerns". I own quite a few (comedy) romance movies and I like most of them, the cheerful ones as well as the ones with the more blunt humor. I own Mary and Polly with Ben Stiller and I like them, too. But I've been rarely as bored as I was with this movie. I never laughed once and rarely had the urge to at least smile - and if I did smile I can't remember and the credits are still rolling. PS: It was a blind buy and one of the worst of that. PPS: If it weren't nearly midnight, I would watch a movie were something gets blown into pieces just to cheer me up. 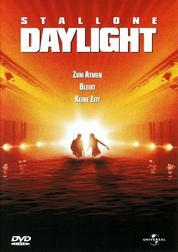 It wasn't planned as such, but in the last few weeks I have watched quite a number of Science-Fiction movies and a good part of them were "Doomsday" movies, so I might as well write a few words about them. Most of these movies are very, very US-patriotic but when you can accept that and when you can ignore the scientific "inaccuracies" you can have a lot of fun with them. My Opinion: Great movie. Love it. It's so cheesy that falls out of the bottom of the scale and comes back from the top of it. The characters are so overdrawn that you can't take them seriously and that saves the movie. Imagine you would have to look at this movie with a serious eye. The president that fights in the final battle, the drunken pilot that saves the day, the scientist that writes a computer virus for an alien computer and Will Smith in the middle of it. Synopsis: A meteor the size of Texas in on its way to Earth and it's hitting us in 18 days. It will be a 'Global Killer', the end of mankind. And there's only one way to save us: Send a oil drilling team up there and blow it up from the inside with a nuke. But oil drillers are a tough crowd and not trained astronauts. Will this ever going to work? My Opinion: This is another movie I enjoy a lot. It has a great soundtrack and a great look, I especially like the non-destructive effects, like the take-off of the shuttles and the look of the meteor. I also like the characters, they are so comic-like: Rockhound, Bear, Lev. This is also a movie one can't take seriously or one can't appreciate it. And although he was portrayed in a very chlichéd way, I liked it that Russia was allowed to help saving the world - whereas ID4 was basically an all-american gig. I like Armageddon too, but the ending with Bruce almost pushes it to breaking point! I did like what I heard the other day in a review of The Day The Earth Stood Still; that film is apparently dreadful and the reviewer wished they'd had a little more fun, like ID4 or this. It may be OTT patriotic cheese, but it's very bloody exciting! Which is what films like these should always be. In fact he went on to say, you're supposed to care about the fate of the world, which you can't help but do with the others, but with Day, he couldn't care less. So they kind of ram it down our throats in Armageddon, but at least it's there with a bit of passion. Synopsis: A meteor the size of ? in on its way to Earth and it's hitting us in 18 days months. A spacecraft built by the Americans and Russians departs to intercept it, dig a hole and blow it up with a nuke. But it fails and now two huge pieces are still on their way to Earth and they will devastate most of Earth's surface and kill billions of people. My Opinion: Ironically this movie has - when using ten words or less - the same story as Armageddon and it came out in the very same year (1998) and yet it's totally different. They have more time to intercept the meteor, they are sending real astronauts, it's more serious about the whole topic and it shows more of the life on Earth during that time. But I have to confess, I like Armageddon more. I think this is a good movie, but due to its seriousness one has to be in the mood watch it. I read about TDTESS that it's the third time after Matrix and Constantine that Keanu Reeves had the same suit on and played with the same stoic face. Synopsis: Los Angeles, 1996. Detective Spartan arrests the maniac Simon Phoenix but several hostages are killed in the process. Both Phoenix and Spartan are convicted and brought to the new cryo prison. San Angeles, 2032. Simon Phoenix manages to escape during a probation hearing and causes havox in a now peaceful world. Only an old-school cop like Spartan can stop an old-school criminal like Phoenix. But Spartan has a hard time to fit into a world where swearing is forbidden and Pizza Hut has won the franchise wars. My Opinion: Yet another movie that takes itself too seriously. 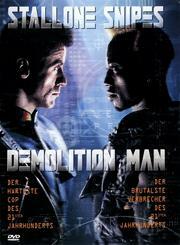 The action scenes between Sly and Wesley were quite enjoyable and the scenes between Sly and Sandra were really funny. I loved all those 80s references like Lethal Weapon, Love Boat and of course the side blow to Arnie and the "Schwarzenegger Library". The question this movie asks is whether we really would like to live in a over-nurturing, perfect and boring world like this or whether would belong to Friendly's rebels. My Opinion: Technically this is not a Science-Fiction movie, but I was in the mood for another Sly movie and a lot of stuff gets blown up here. It's a standard action no-brainer with all kind of action scenes, but also a lot of personal drama, like the decision when you actively have to leave someone behind and you'll know he is going to die alone but there's nothing you can do. As you can see I watch a whole lot of movies that have plotholes the size of the moon and yet there are some story elements that bug me - even in such movies. In this one it was the mayor's(?) decision to re-open both ends of the tunnel now. Why? Because the tunnel is an traffic artery and she needs to send cars through it again. --- In reality such a tunnel would be closed for months for inspections and repairs even if it wouldn't collapse the minute they open the ends. I like Keanu Reeves. In the right role, he's very effective. But he's had a lot of wrong roles! Seems like we are in a similar mood, Karsten. 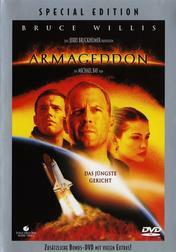 As chance would have it, I had planned to watch Armageddon today, as it has been a while that I have seen it. 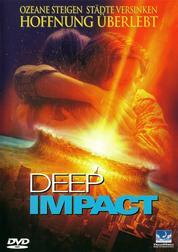 I remember the year, when both Armageddon and Deep Impact was at the cinema and we chose to watch Deep Impact. 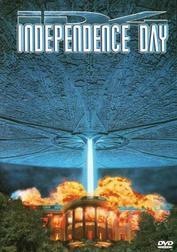 It was a fine movie, but Armageddon was more fun to watch even if it's totally ridiculous and patriotic. 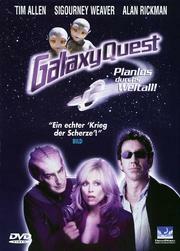 Synopsis: Jason Nesmith is a former TV star who played the role of "Commander Taggart" in a show called "Galaxy Quest". Now he attends conventions, gives autographs and opens electronic stores. His co-stars aren't doing much better. But then some real aliens come to Jason in the believe that all the stories about the "N.S.E.A. Protector" and its crew are also real. And they need him and his crew to save their race. My Opinion: I've been a Star Trek for a long time but I've never been that fanatic that I can't enjoy a good parody or homage like this one or the german "USS Highlander" movies. I especially liked the well chosen cast with Tim Allen as Shatner copy (when the stone alien ripped his shirt off, he even walked like Shatner in TOS ), Rickman who is this Shakespeare actor and basically hates his GQ role by now, the tough Alien woman Weaver who is now doomed to repeat the computer and Rockwell as prototypical Redshirt. And of course the geeky fans who dissect every episode for canonical errors. Synopsis: U.S. Robotics is producing and selling robots that work under the Three Laws of Robotics. The current series NS-4 is soon to be replaced by the NS-5 series which have an constant uplink to the central computer and can receive updates this way. 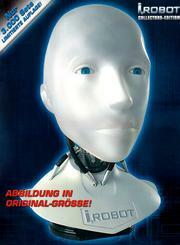 But for personal reasons Detective Spooner doesn't trust robots and when one day on of the major scientiets of the robot project is killed, Spooner suspects that it was a robot who did it. But he is the only one who thinks so - until it is too late. My Opinion: I've never read any of Asimov's stories, which is a shame actually. But I knew the basic story and thought that they made a good movie out of it. Sometimes the action was a bit over the top, especially in the Spooner-vs-masses-of-robots scenes but on the other hand, if they would have used less it wouldn't have felt right either, as they hadn't enough money or computer power to render more. And they managed to let me feel empathy for the non-human character whose face was rendered based on Alan Tudyk (A Knight's Tale, Firefly), who also spoke Sonny.